Wendy's next Acadia Hall show of 2019 will be on April 21st and it will be a lovely way to welcome in the Spring. It is going to be a great afternoon of country music featuring Dianne Gould, Ruth Manning, Graham Moorehead, and Brent & Laura Crouse. With this much talent, this show will be packed to the rafters with lots of great country music and an unforgettable time for all who attend. 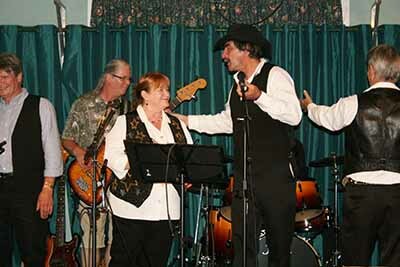 As usual, Wendy and guests will be backed up by her very talented band, The Acadians. The band consists of Floyd Spicer, Bob Gerard, Scott Redden, and Kenny Farrell. There is nothing currently scheduled but that can always change so be sure to check back here from time to time. © copyright wendymanning.ca 2010 - 2018 All rights reserved.